Scenario: You've liberated a genie from a lamp—because anything is possible in 2017. Instead of wishes, however, he's offering four items for your wardrobe, and he's willing to splurge, too. What do you tell him? We got you. Here are four essentials for every closet, so you're ready for this fateful day. Here’s a rundown of four must-have investment items for every man’s closet. If a genie’s buying, then you definitely want to consider a waxed-cotton jacket. 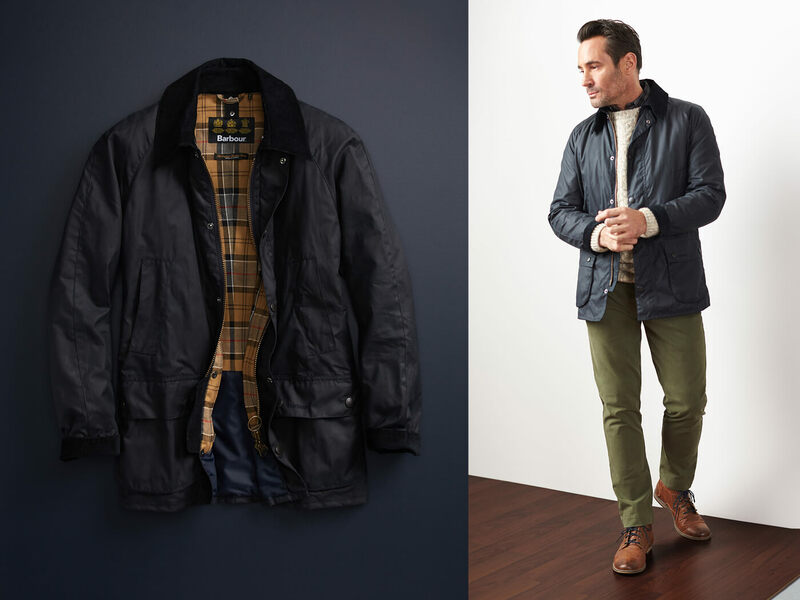 Made popular by British heritage brand Barbour, the weatherproof coats are a mix of rugged outdoorsman-meets-English countryside manner. The rumpled quality of waxed cotton contrasts well with formal wear, and can soften the look. Of course, a Beaufort or Bedale will always look good with casual or workwear, so go ahead and get outside. And remember: there’s scads of function behind that form. Short of wearing a yellow PVC slicker raincoat (and we do not advise that), there’s nothing that keeps you drier on a damp day. Waxed cotton acts as a thermal insulator, so even a thin layer is effective at warding off cold. Like influenza and land sharks, semi-formal events can strike when you least expect it. Two days before an office party, you remember the invite’s ominous directions: “snappy casual.” You consider a suit—too James Bond. How about a sweater? Too Carlton Banks. Enter the blazer. Dark is good and navy is gravy. The deep blue is sure to match anything in your closet and it’s not as stuffy as black or grey. 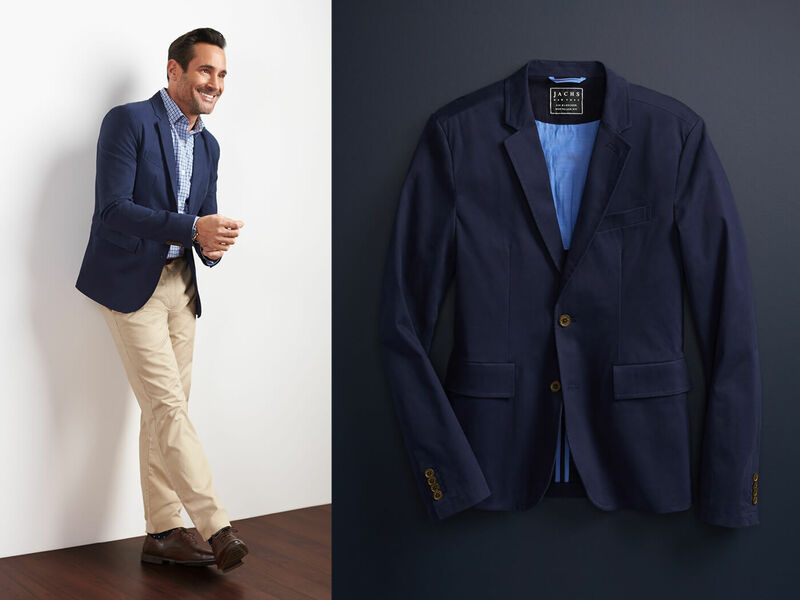 A smart-fitting blazer is a piece that straddles the line between casual and formal, between evening and day-wear, and between business and party. Everyone needs a dependable threshold garment, and this is one. Dark jeans are the blazers of the pants world. They can dress you up or make an outfit more casual. And because dark is more neutral, these jeans can go places regular blue jeans just can’t. They’re like denim with a diplomat passport. Dark denim works well with a T-shirt or casual button-up or pretty much anything you can throw at it. Oh, and did we forget to mention that jeans are hella comfortable? We did. 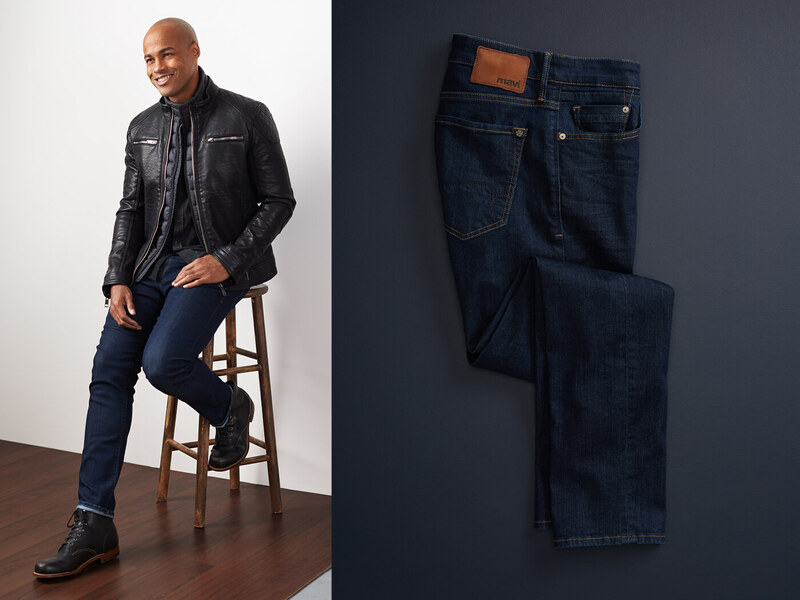 Choose dark denim before you shell out for semi-formal slacks. These will never go out of style. Now hear this: cardigans are cozy. They are comfy. They are warm. And they look good. There is absolutely no outfit that a cardigan can’t improve. Add a neutral cardi to a T-shirt and jeans for that instant “trustworthy adjunct professor” look. 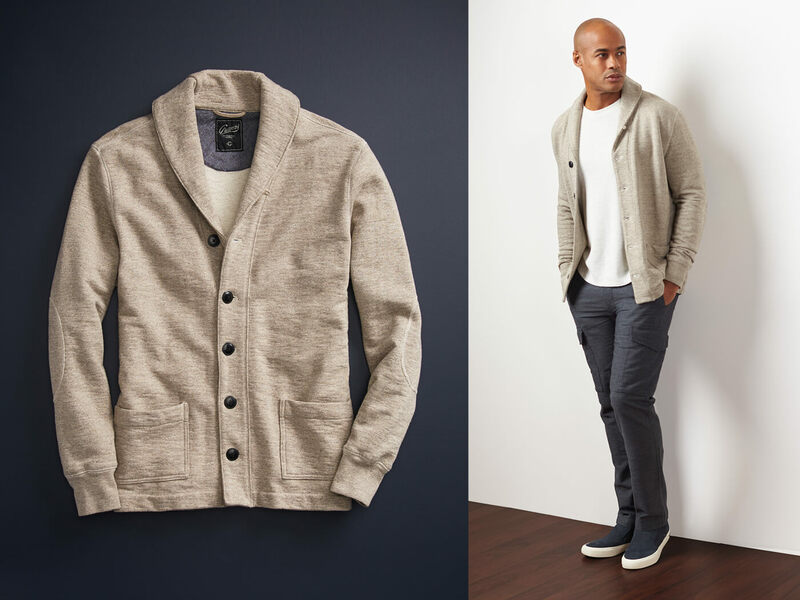 Cardigans can also take the edge off a too-formal look. Scenario: Man walks up to you wearing a jacket and tie. “Is he selling me index funds?” Replace that jacket with a friendly, shawl-collar cardigan in a warm shade: “Is this man going to offer a beer and want to bro-down?” Yes, he is. 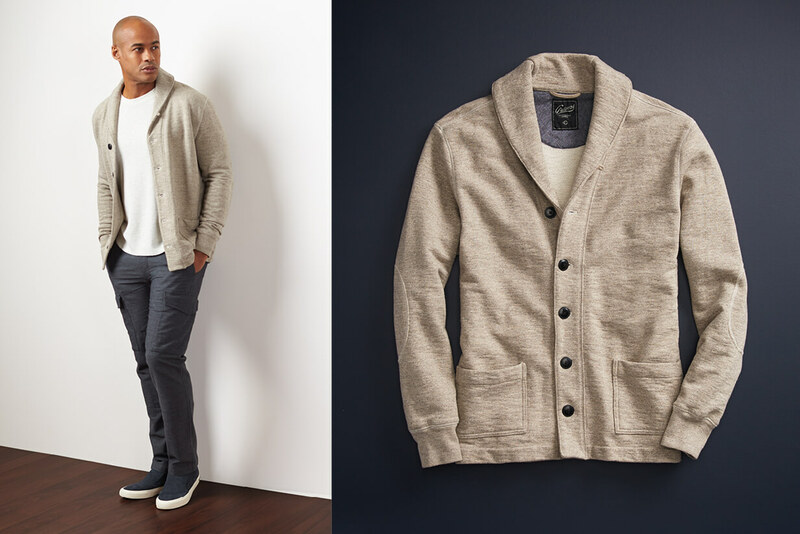 The cardigan is a dependable layer that’s easy to toss in a backpack and unleash when you need it. Layering adds complexity to an outfit, and a button-up sweater is an easy and quick way to add a daub of character to your ensemble. Need any (or all) of our hand-picked investment pieces? Get in touch with a Stylist.